A Blandness Born of Internationality? 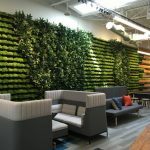 As the world gets smaller and the instant communications revolution continues, one relatively unnoticed casualty is the design individuality of offices around the world. There was a time when you could walk into an office, and the furniture would tell you whether you were in Paris, Frankfurt, New York, Milan, Moscow, or London. The colors, shapes, materials, construction, and overall image of the furniture and furnishings were all very local, almost parochial. Who could fail to be struck by the muddy oranges and greens of a French office? Or the inevitable mahogany or teak, real-wood veneers used throughout UK workplaces? The panels, work surfaces, and storage units that made up U.S. cubicles were rarely seen outside North America. And the massive, dark-wood desks and cabinets in Central European overwhelmed visitors and staff alike, just as they were intended to. A desk from Strafor, the French company that Steelcase acquired in two stages; it eventually became the basis of Steelcase in Europe. What do we see today? A blandness, born of internationality, which results in manufacturers’ products looking like the lowest common denominator. Everyone wants to “emulate” everyone else and create products that don’t look out of place anywhere. Rather than trying to please their own home markets and give customers just what they want, office furniture producers just try to avoid putting customers off — and, as a result, products increasingly lack individuality and personality. Still; there is at least one upside to these changes. With markets that are happy with me-too products and customers who are prepared to consider buying from almost anywhere, international trade in office furniture is on a high. Barriers to trade, both tariff and non-tariff, continue to drop away. When their own home market goes quiet, U.S. manufacturers might well look to Europe and, today, at least as far as products are concerned, they are often stand good chances of making a sale. What potential exporters need is information — and for U.S. manufacturers, one problem is that Europe isn’t one market, but at least 27. That’s the number of individual nations inside the EU, not to mention Switzerland, Norway, and others that aren’t members. That’s one of the reasons why, until recently, there’s been a dearth of market statistics and information on the companies that make up the markets. Specialist international consultancy firms such as JSA in London — which works exclusively on office furniture related projects and issues — can help companies with tailor-made strategic and tactical advice and introductions. However, as a first step, U.S. manufacturers might learn a great deal and begin to identify potential local partners by subscribing to the informative League Tables that JSA publishes about the 100 largest office furniture companies in Europe. These show the sales revenues, market shares, league position, profit, number of employees, and other relevant information for all the largest office furniture companies across Europe. They are a good starting point for planning an export strategy. European corporate financial transparency varies but is high in the UK, Netherlands, and Scandinavian countries — much less in Switzerland and Turkey. Within these limitations, JSA’s information is very helpful; every three months, the information is updated and reissued to subscribers with improved levels of accuracy and disclosure. Consequently, organizations need to know clearly who they are and what sets them apart from their competition.